For all of the new features introduced with Windows 10 last year, the Universal Windows Platform (UWP) was perhaps the most essential to fulfill Microsoft’s promise of One OS to Rule Them All. 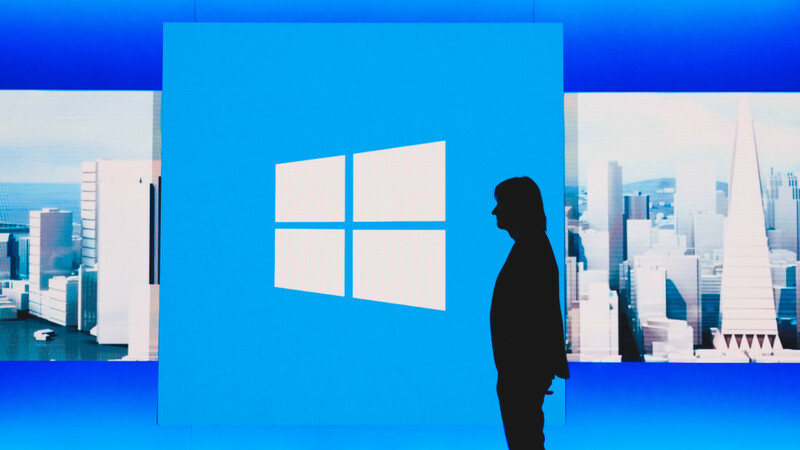 The prospect of singular lightweight app that could work on PCs, phones, Xbox consoles, and even HoloLens was enticing, and it represented Microsoft’s vision for the future of computing – particular considering Windows 10 is supposed to be the ‘last version of Windows‘ ever. A year later, UWP hasn’t quite lived up to that promise; Windows 10 was generally met to critical acclaim (with occasional disdain), but not for the breadth of its modern app selection. The vast majority of Windows users are still using legacy software, Windows Mobile is still way behind competing app catalogs, and people are more likely to download software from the Web than the Windows Store. At its Build 2016 conference, Microsoft is pulling out all the stops to convince developers the UWP is the way modern PC software should be created – and we’re only one day through. To do that, Windows has to shed the weight of over 16 million legacy Win32 and .NET apps, which is why today’s Desktop App Converter announcement was so important: suddenly, developers have a dead-simple way of turning their old apps into UWP ones. What’s more, Microsoft says there’s virtually no performance cost. In some cases, apps and games may even run faster. With thousands of developers already creating legacy software, the tool makes it relatively easy to onboard their software onto the UWP, taking a big step closer to Microsoft’s touch-and-pen friendly software vision, which will eventually mean more apps for Windows Mobile, and Xbox’s imminent app compatibility too. There’s a simpler reason to speed up UWP development, too: they’re the only apps available via the Windows Store. For Kevin Gallo, Microsoft’s vice president of Windows Developer, it’s even a bit personal. His daughters, like so many others, would often discover software via Web search, where they are much more likely to come across malware-laced downloads. Keeping apps on the Store helps keep users safe. But despite generally being lighter and faster, the UWP can also make apps more powerful. Gallo says the Desktop App Converter gives legacy software access to the numerous modern APIs Microsoft is building around UWPs, including powerful inking support, making Cortana behave much more like a human assistant, and a new framework for intelligent chatbots that can essentially replace full apps (no, not Tay). To Microsoft, these aren’t just fun tools; they’re the future of our interaction with computers for a younger generation that’s grown up with more than just a mouse and keyboard. Still, making it easy to port apps into the UWP isn’t without its consequences. After working so hard to establish a sleek, flexible design language with Windows 10, Microsoft runs the risk of an influx of apps that look like they were designed circa ’95. Remember when the first wave of Android apps looked like straight copies of iOS apps? Gallo isn’t worried; “we’re not policing developers,” he said. While acknowledging that some dated-looking apps may make their way into the Windows Store, he’s confident they will be in a significant minority. The ease of implementing UWP design elements, as well as a drive to perform well in a new, growing marketplace, will inspire developers to update their user experience and graphics for modern standards using UWPs overlays. They jury is still out on whether that’s actually true. After all, Microsoft tried to spur similar excitement for Window 8’s Modern UI apps, but there’s no denying the company is approaching Windows 10 development with a renewed vigor in 2016. The majority of today’s mammoth 2.5 hour keynote was spent discussing tools that only worked with universal apps. The rest was spent discussing how it’s improving Windows as developer platform for all devices, including its Xamarin purchase, turning Xbox Ones into dev kits, and natively implementing the Unix Bash shell. The implication is that the more developers can do their work on Windows, the more likely they are to develop for windows as well. There’s an irony to this year’s Build: after shying away from a primarily touch-centric UI in Windows 10 over its predecessor, Microsoft is now sounding the death knell for classic Windows apps louder than ever. But if Microsoft plays its cards just right this time, it might finally give developers enough of a reason to listen. Check out all of our Build 2016 coverage here, or read our summarized round-up for Day 1 instead.